In the previous Friday Tip of the Week, we covered how recording soft synths and amp sims at higher sample rates (like 96 kHz) can give higher sound quality in some situations. However, we also discussed some issues involved with recording at higher sample rates that aren’t so wonderful. So this week, it’s time for a solution. Offline upsampling to higher sample rates can let you retain the CPU efficiencies of running at a lower sample rate, while reaping the sonic benefits of recording at higher sample rates… and you can do this in Studio One by upsampling in a separate project, rendering the file, and then importing the rendered file back into your original project. But wait—wouldn’t you lose the benefits of upsampling when you later convert the sample rate back down to 44.1 kHz? The answer is no: Rendering at the higher sample rate eliminates any foldover distortion in the audio range, sample-rate converters include an anti-alias filter to avoid this problem, and 44.1 kHz has no problem playing back sounds in the audio range. However, note that upsampling can’t fix audio that already has aliasing distortion; upsampling audio to 96 kHz that already contains foldover distortion will simply reproduce the existing distortion. This technique applies only to audio created in the computer. Similarly, it’s unlikely that upsampling something recorded via a computer’s audio interface will yield any benefits, because the audio interface itself will have already band-limited the signal’s frequency range so there will be no harmonics that interfere with the clock frequency. We’ll assume a 44.1 kHz project sampling rate, and that the virtual instrument’s MIDI track has been finalized but you haven’t transformed it to audio yet. Here’s how to upsample virtual instruments. Save the virtual instrument preset so you can call it up in step 5. Select the entire MIDI clip driving the instrument, and drag it into the Browser (or right-click on the MIDI clip, and choose Export Selection). In either case, place the MIDI .musicloop so it’s easy to find later. Create a new Song at a higher sample rate, like 88.2 or 96 kHz. Insert the virtual instrument you used previously, and then load its preset. Drag the MIDI .musicloop clip into the Instrument track. Right-click on the track header and choose Transform to Audio Track. You can uncheck everything in the dialog box. Drag the audio file into a findable location in the Browser, then close the Song. Open the original Song with the 44.1 kHz sample rate. Import the upsampled audio; Studio One will convert the sample rate back down to 44.1 kHz automatically. Use this as the transformed instrument audio instead of what you would have obtained in the 44.1 kHz project. That’s all there is to it. If you want to upsample an amp sim, the process is similar: export the (presumably guitar) track, save the amp sim preset, render at 96 kHz, then import the rendered file into the 44.1 kHz project. 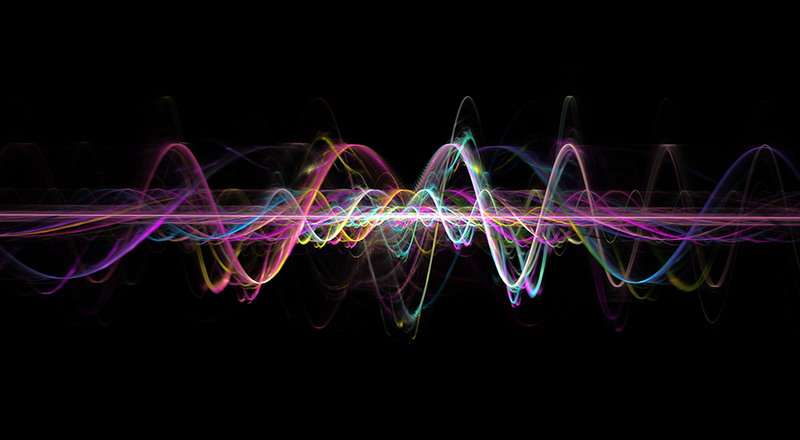 Listen to the audio example “Upsampling with Amp Sim,” which plays the sound of an amp sim at 44.1 kHz and then after upsampling to 96 kHz. The difference isn’t as dramatic as last week’s synth example, but you’ll still hear that the upsampled version is clearer, with more presence. Do bear in mind you may not want the difference caused by upsampling. When I did an upsampling demo at a seminar with a particular synthesizer, most people preferred the sound with the aliasing because the upsampled sound was brighter than what they expected. However when I did upsampling with an amp sim, and with a different synth, the consensus was that the upsampled version sounded much better. Regardless, the point is now you have a choice—hear the instrument the way it’s supposed to be heard to decide if you like that better, or leave it as is. After all, distortion isn’t necessarily that horrible—think of how many guitar players wouldn’t have a career without it! Although upsampling isn’t a panacea, don’t dismiss it either. Even with synths that don’t oversample, upsampling may make no audible difference. However, sometimes synths that do oversample still benefit from upsampling; with some sounds, it can take 4x or even 8x oversampling to reproduce the sound accurately. As always, use your ears to decide which sound works best in your music. The easiest method is the one suggested below regarding Song Setup, but as noted in a post I did that seems to have a hard time being posted, that doesn’t seem to work when using Windows internal audio but will work if you use the technique described in the tip. As to 1), exporting/importing isn’t enough, you need to render at the higher sample rate. Regarding 2), upsampling is only necessary with “in the box” processes because external sources coming into an interface will almost certainly be bandwidth-limited by the interface itself. A guitar going through a DI will not be generating significant amounts of energy at the clock frequency. First of all…I stand corrected (mostly!) about the upsampling tip, the method of changing the sample rate in Song Setup is indeed easier. The reason why I took the approach I did is because I developed this technique while on the road with a Windows laptop, and as far as could tell (please correct if wrong), it’s not possible to change the Song Setup sample rate when using the internal Windows audio; it locks Studio One to whatever was chosen in Sound. I tried a variety of options as well as different combinations of internal mode, but could not change sample rates while a project was open. I should also add that the scenario of “50 VST tracks” needing to be upsampled is highly unlikely – many plug-ins oversample internally these days, and I find myself needing to upsample only with a few tracks per project. Agreed thats exactly what I said below! – I think it makes more sense? Of course and it’s WAY BETTER than all that mess explained in this article. Imagine 50 VST tracks in your common beat, how do you manage to follow along all that mess (taking up hours) just to retain a lil’ bit of more quality? It’s unpractical… Your suggestion in your comment is hundred times better and it’s the way I go as well as the way many others will follow. Would it also work to do all the work of recording audio and programming midi instruments and soft synths in 96Khz and then simply change the session format to 44.1khz for mixing? -so rather than creating new sessions for import/export simply change them for different tasks?